She had to overcome the obstacle that she was a woman in a man dominated endeavour and an age when women were limited by laws and tradition. In 1915, she was invited by David Hilbert and Felix Klein to join the mathematics department at the University of Göttingen, a world-renowned center of mathematical research. The philosophical faculty objected, however, and she spent four years lecturing under Hilbert’s name. Her habilitation was approved in 1919, allowing her to obtain the rank of Privatdozent. The remarkable thing is understanding never stays put. Her ideas spread throughout the physics and mathematics communities, for Göttingen was the center of the universe for math and physics at the time, but she wasn’t concerned too much about gaining fame from it. Another problem was she was Jewish, and when Hitler came to power, she had to emigrate to the US. The efforts of most human-beings are consumed in the struggle for their daily bread, but most of those who are, either through fortune or some special gift, relieved of this struggle are largely absorbed in further improving their worldly lot. Beneath the effort directed toward the accumulation of worldly goods lies all too frequently the illusion that this is the most substantial and desirable end to be achieved; but there is, fortunately, a minority composed of those who recognize early in their lives that the most beautiful and satisfying experiences open to humankind are not derived from the outside, but are bound up with the development of the individual’s own feeling, thinking and acting. The genuine artists, investigators and thinkers have always been persons of this kind. However inconspicuously the life of these individuals runs its course, none the less the fruits of their endeavors are the most valuable contributions which one generation can make to its successors. 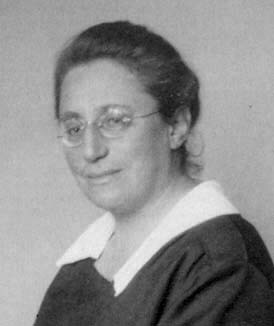 In Göttingen, Noether supervised more than a dozen doctoral students. Her first student was a woman, Grete Hermann, who helped Werner Heisenberg on quantum theory plus Hermann’s critique of John Von Neumann’s no-hidden variable theory is still very relevant and important today. Noether also supervised others like Max Deuring, Hans Fitting, Chiungtze Tsen, Ernst Witt, and Wolfgang Krull which further developed their own ideas because Emmy was to be able to show them other ways. Some consider Noether’s theorem, as it is now called, as important as Einstein’s theory of relativity; it undergirds much of today’s vanguard research in physics, including the hunt for the almighty Higgs boson. In 1933, she had to flee her own country, Germany, to the shores of America. She obtained a teaching position at Bryn Mawr College, in Pennsylvania, with the help from Einstein. After only two years in America, a hasty operation to remove ovarian cancer, she died — probably from an infection. Her body was cremated and the ashes interred under the walkway around the cloisters at Bryn Mawr, but her ideas live on, still relevant today and tomorrow. Previous Article Are Women Human? Next Article Good Time Charlie.. I had never heard of Emmy Noether. 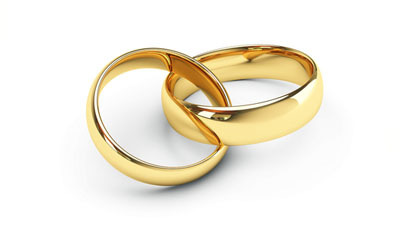 Very interesting blog, her story and story of temperament. These blogs are fantastic.